Buying a used motorcycle intelligently requires considerably greater effort than just walking into a showroom and selecting a new one. There are both risks and rewards with a previously owned machine. You can get far more bang for your buck, while letting the original buyer take the big depreciation loss. A used motorcycle purchase can have pitfalls though, so you’ll want to do some homework beforehand. Determine realistically what your budget is, and be sure to include money for potential repairs, tax, registration fees, and insurance. Next, choose the category of machine you’d like, such as touring, sportbike, cruiser, naked, sport-touring, or dual sport. Deciding what make, model, and year you want makes searching simpler, but it also could prevent you from finding a great deal on a comparable model. Once you narrow down what you’re looking for, familiarize yourself with market values. There are price guides with extensive free listings, such as Kelly Blue Book and National Automobile Dealers Association (NADA). You can also get a good idea of what models are selling for by looking in large metropolitan newspapers, owner’s club magazines, and CycleTrader.com. Research the common problems of the models you’re shopping for online (use a search engine such as Google) and by talking with enthusiasts. Some brands and models are very expensive to maintain. Before shopping, familiarize yourself with the cost of replacement parts and labor for service, such as valve adjustments on the specific model. Don’t be in a rush, and try to avoid buying the first bike you see unless it’s truly a great deal. Too many buyers shop strictly by lowest price. It’s easy to overlook or minimize the amount of work a bike needs and the cost of repairs. Often a more expensive bike in better condition turns out to be the best value in the long run. If you plan to ride regularly for commuting, rather than just occasionally, then a low-mileage machine may make more sense. Before even going to look at a motorcycle, ask the seller to email some high-quality digital pictures that show overall condition and close-up details in good light. And when you’re ready to go looking, never shop after dark or in inclement weather, as you’re likely to miss issues that would be more obvious in the light of day. Also, even if you are knowledgeable about motorcycles, bring an informed friend for a second opinion. If that’s not possible, find a shop that will do a pre-purchase inspection for you, and get the seller’s permission in advance. When you go shopping, you’ll want your inspection to identify any signs of wear and tear from use, damage from abuse, crashes, or tip-overs, neglect from skipped maintenance, and exposure to the elements. Some of these potential problems can be determined just by looking, while others will require starting the engine and taking a test-ride. Ask the seller not to start the bike before you arrive, as starting the bike cold will tell you more about its condition. Check the oil color: honey-colored indicates recently changed; black means old oil and neglect; white milky streaks indicate coolant is leaking into the oil; and metal flecks show major engine damage. Note how readily the engine cranks over and fires up, listen for unusual noises, and look for smoke. Blue smoke indicates oil consumption, while black smoke is from excessive fuel richness. Ask to see all service records and receipts. Inspect the electrical system, gauges, battery, and lights. Test all accessories, lights, and switches. The sound of the starter cranking (if so equipped) is a fairly good indicator of the condition of both the battery and the starter. On liquid-cooled bikes, check coolant level and color, but only open the radiator cap when the engine is cool. Coolant should be green, not rusty or murky brown, which is a clear sign of neglect. Oil in the coolant probably means major internal damage. Also, no coolant is very bad. Many sellers will let you test the bike if you ride a motorcycle there, behave seriously and responsibly, inspect the bike thoroughly first, and have the money to buy. Do a pre-ride safety check and then take it for a careful test. Feel how the clutch engages – does it chatter or slip? Does it fully release when squeezed? Also note how the transmission operates – be on the lookout for false neutrals, hard shifting, noise, and jumping out of gear. Apply the brakes and push down on the suspension, noting how it responds. Test the brakes and controls for lever response and effectiveness. Without a test ride you can’t check these items properly. On belt-drive bikes, check the condition of the belt and pulleys. On shaft-drive bikes, look for signs of oil leakage, and listen for noise when you test ride it. If the bike has chain drive, check the condition of the chain and sprockets. When stopped, grab the chain at the rear-most point, on the rear sprocket, and pull backward. If you can pull it off the sprocket enough to expose half of a sprocket tooth or more, it’s worn out. Hooked sprocket teeth require replacement. If the handlebar seems out of alignment with the front wheel or anything looks crooked, the bike has probably been crashed. Check for problems such as a cracked or bent frame, fork, or swingarm. Also, inspect forks and shocks for leaks, scratches, rust, and bending. Look for changed or mismatched colors, damaged handlebars, mirrors, clutch/brake levers or turn signals. Be aware of dents or scrapes in the gas tank or exhaust, and broken or cracked plastic panels (sometimes covered by stickers). Additional signs of crashing are parallel scratches on engine cases, frame, fenders, and fairings. Plating, paint, and bright work are very expensive to replace, and corrosion can cause all sorts of problems. Faded and weathered paint, decals, seats, gauges, and windscreens, plus rust, and pitted chrome and aluminum show that a bike was left uncovered, outdoors, for long periods. Peek inside the tank with your flashlight for rust and sediment, and sniff for stale gas, which smells like old varnish. If the gas is old and the bike doesn’t run well, it’ll need a thorough fuel-system service. Check tires for cracks, tread depth and age. Look at both sides of both wheels for dents, cracks and damaged spokes. See if they wobble when turned. Tires should be replaced after five or six years, so be sure to inspect the date code, which is indicated by the last four digits following the DOT stamp on the sidewall. The third and forth digits from the end reference the week, while the last two digits indicate the year of manufacture. For example a date code of 2409 means the 24th week of 2009. Items such as tires, batteries, chains and sprockets are readily replaced and shouldn’t be deal-breakers, but their price with labor should be deducted. Aftermarket parts such as hop-up kits, loud racing exhausts, rubber chunks around rear tires, etc. may indicate abuse. Holes drilled through the heads of bolts for safety-wire on brake caliper bolts, exhaust, engine, or drain plugs, show it was a race bike – which likely means lots of wear and tear. Before purchase, ask about everything related to the bike, including keys, any free or included spare parts, plus the toolkit, owner’s manual, service manual, etc. Keep notes of all the pros and cons of each bike you look at and take photographs too. List the problems you find, and then use these in negotiating a good price, if necessary. Try to shop locally. If a used motorcycle is far away, then it’s difficult to inspect the machine prior to purchase, and it’s costly to transport it. Sellers often optimistically rate the condition of their machine, but when you inspect the bike, it may be nowhere near as good as you expected. If you’ve traveled far, the effort expended could coerce you into making a purchase. Consider what travel expenses and/or shipping costs will add to the purchase price. If you know someone who lives near the seller, ask if s/he will inspect it for you and verify the condition before you buy it. Any time something seems too good to be true, it probably is. 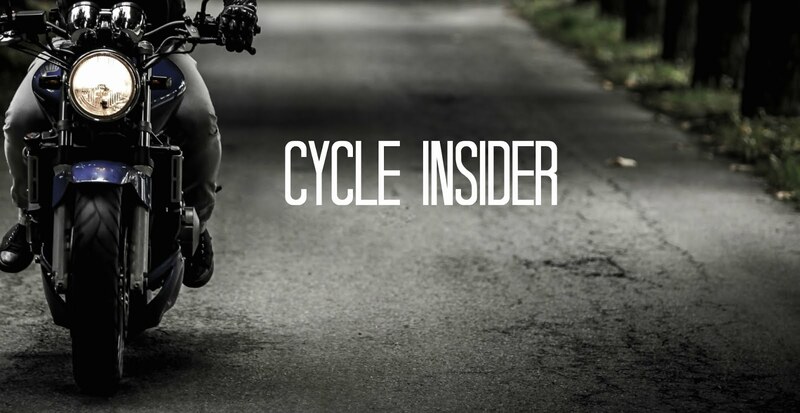 Often, the reason a bike is priced inexpensively is because it has serious problems. If there aren’t mechanical issues, it may have a salvage title, which could indicate major damage, or even stolen property with forged paperwork. Also, in some states, the buyer may be left with expensive penalties and renewal fees for an expired registration. Before money changes hands, carefully compare the VIN on the frame and engine, to the VIN on the title. Verify that there’s a clear title in the name of the seller, without any lien holders, and get a signed bill of sale. Check the mileage recorded on the title, and also note if the indicated mileage is consistent with the bike’s condition. As for the seller, know whom you’re dealing with. Ask to see a photo driver’s license, and compare the name and address to that on the title. Get a phone number and an actual address (not a PO box number), and then verify the information. Also watch out for scams, such as when a seller asks you for a substantial deposit up front and then disappears. It may seem like a nuisance, but the effort you expend now will pay big dividends later when you’ll be enjoying the long life-span of your used bike. It is essential to check the condition of the used Motorcycle before Buying it. It is not easy to find the best used motorcycle because of the numerous considerations. Do not make rush decisions in buying. If you do not know how to look for a good one then ask help from someone who can. This post has very informative details, it exactly what one should consider before buying used motorcycles and bike accessories.There is always need for Cross check before buying used motorcycle or motorcycle accessories. Some of these accessories could be faulty. I would consider top quality accessories for my Street Motorcycle, even if i go for used motorcycle accessories. Different bikes may have different things to consider regarding maintenance especially since not all parts are the same. Got to know more about the bike you are purchasing first to determine if it is really worth it. Teenage boys vary in their emotional development, however in common; their emotional maturation is actually slightly at the rear of that of girls of the same growing older. Product Expert means that it is extremely vital that you pay attention to every boy’s phase of maturity when purchasing a gift for any teenage young man -- gifts which convey the actual anticipations with regard to him to “be a man” can create unnecessary anxiety! American Airlines Phone Number is a great source of hassle-free air ticket booking process. the associates at this helpline are at customer help desk for 24/7 and that too globally. simply dial American Airlines Phone Number and book air tickets quickly, on call.